Savvy business owners recognize the value of trust-building using online reviews. Is your team leveraging Yelp to generate leads using reputation management? Posted on November 1, 2016 by Adam Stewart | Online Reputation Mgmt. Your business is on Yelp whether you like it or not. And these days, the platform isn't simply reserved for finding great local restaurants. The user-driven review site continues to grow – covering a variety of businesses and services (B2C and B2B alike) – especially as more users access Yelp on the go. Are these potential customers finding your business on Yelp? Savvy business owners recognize the value of trust-building using third-party online reviews. Your team should be leveraging Yelp to generate leads using reputation management. The following optimization tips for your Yelp business page will help you rank higher than the competition. As a business, you have control over certain information about your products and services. The From the Business section allows you to differentiate your business from the competition in organic Yelp rankings. Try using specific long-tail terms for your services and exclusive offerings in the Specialties area. Spend your SEO research and wordsmithery in this Yelp-focused area rather than the History or Meet the Owner subsections. Be careful though, keyword stuffing or long lists may potentially hurt your listing. Aim for a natural flow in your copy using 5-10 keywords you’d like to rank for. Yes, it’s fantastic to have a hundred 5-star reviews. But you need to get found in the first place. Keywords in reviews can help you rank. You shouldn't be fearful about asking customers for reviews on third-party sites, especially if you can simplify the process using marketing automation. Try setting up an email campaign that provides a link to your Yelp page and subtle nudges to keywords you'd like to rank for. "Thank you for partnering with us. We strive to provide you with the best service possible. As such, would you consider posting a review of us online? In addition to providing feedback, online reviews can help other small business owners learn about who we are and the services we offer. Rating and writing a comment will only take a few minutes. On occasion (roughly 25% of the time), Yelp will hide a positive review from a client or customer. Where did the missing review go? It’s stuck in a recommended review filter as explained by Yelp. 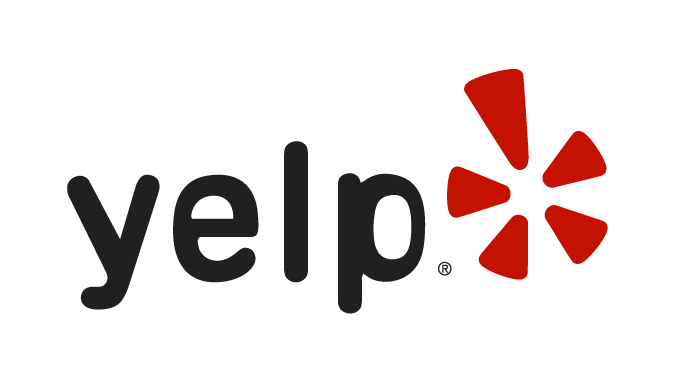 Essentially, Yelp's recommendation software rates reviews based on Quality, Reliability, and User Activity. 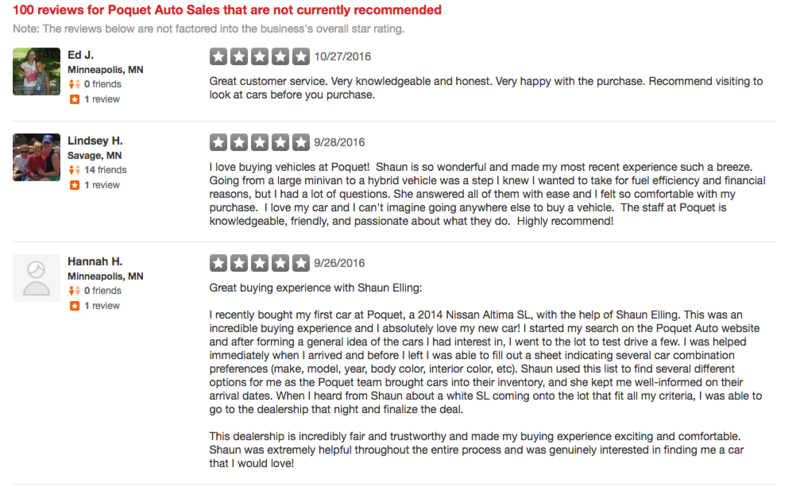 Filtered reviews can still be viewed via a nondescript link below recommended reviews. Considering Yelp's algorithm, the reviews below were probably filtered out because they are the users only reviews. The first review is also short and lacks additional details. Additionally, the third review is from a user with no profile photo. As a business owner, how do you help push these reviews through the Yelp filter unscathed? Another useful tactic is to send the reviewer a direct message to thank them for the review and encourage them to complete their profile if they haven't already done so. Yelp focuses on making sure reviewers are real, so remind them that complete profiles with multiple reviews are preferred. Creating a short, customizable template will help you speed up the process for responding to users with filtered reviews. Although Yelp has traditionally been perceived as a B2C review site, it is equally valuable for B2B organizations in professional services to be aware of their Yelp business page and how it ranks on the platform. Have any questions regarding reputation management or marketing automation for your business? Schedule a free consultation with our team. Is It Okay to Ask Employees to Use Their Personal LinkedIn for Business Promotion? Hey, why did my review disappear from Yelp? Understand the right metrics that indicate bottom-line impact from our free ebook.